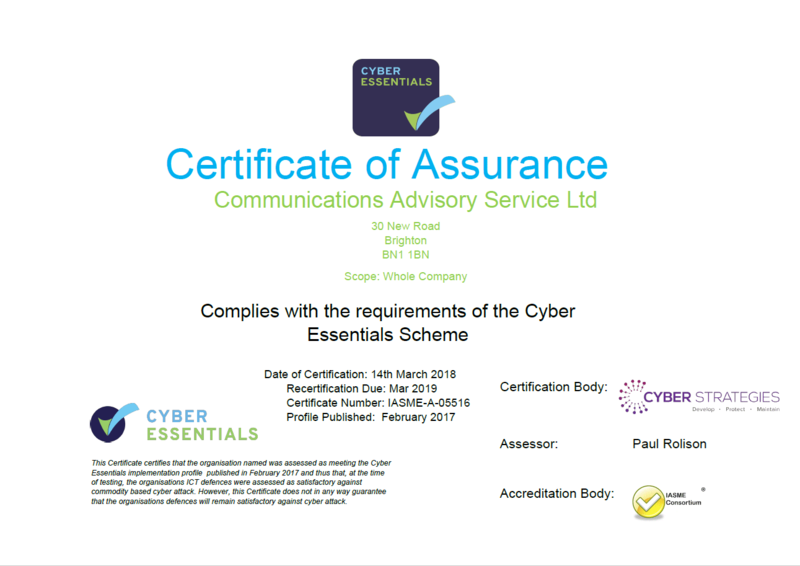 CAS Receives Cyber Essentials Certificate of Assurance - CAS Ltd.
We are committed to protecting our data and yours. We have implemented the most important cyber security controls which enables us to drive business more efficiently whilst providing assurance to all those with whose data we come into contact. Certification provides protection of five security controls i.e. secure configuration, boundary firewalls, access controls, patch management and malware. This provides prevention of up to 80% of cyber attacks, as endorsed by the UK government.